2. The Vision of the "FOUR BEASTS." Forty-eight years after Nebuchadnezzar had his "Dream," B. C. 555, Daniel in vision stood upon the shore of the "Great Sea" (the Mediterranean), and saw four "Great Beasts" come up out of the sea in succession. FIRST BEAST. The "First Beast" was like a LION and had Eagle's Wings, and as the Prophet watched it, he saw it lifted up from the earth, and made to stand upon its feet as a Man, and a Man's Heart was given to it. Dan. 7:4. We have only to visit the British Museum, London, and examine the Colossal Stone Lions with the "wings of an eagle" and the "head of a man," disinterred from the ruins of Babylon and Assyria by Sir Henry Layard between the years 1840 and 1850 A. D., to see that this "FIRST BEAST" stands for Babylon and its King--Nebuchadnezzar. The peculiarity of this "FIRST BEAST" was that it had "Eagle's Wings." 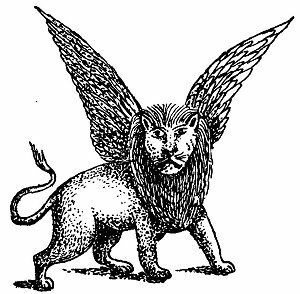 This combination of the LION, the "King of Beasts," and the EAGLE, the "King of Birds," corresponded to the Royalty of the "Head of Gold" of the "COLOSSUS," and typified the "Eagle-like" swiftness of the armies of Nebuchadnezzar. 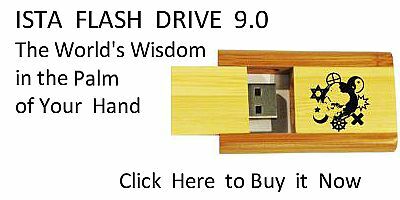 The "Plucking of the Wings" doubtless referred to the "Beastly Insanity" of Nebuchadnezzar (Dan. 4:20-27), and the "lifting up," and causing to stand upon its feet "as a MAN," to his restoration to sanity. SECOND BEAST. The "Second Beast" was "like to a BEAR, and it raised up itself on one side, and it had "Three Ribs" in the mouth of it, between the teeth of it: and they said thus unto it Arise, devour much flesh." Dan. 7:5. 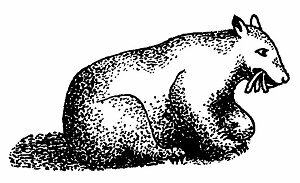 The bear is the strongest beast after the lion and is distinguished for its voracity, but it has none of the. agility and majesty of the lion, is awkward in its movements, and effects its purpose with comparative slowness, and by brute force and sheer strength. These were the characteristics of the Medo-Persian Empire. It was ponderous in its movements. It did not gain its victories by bravery or skill, but overwhelmed its enemies by hurling vast masses of troops upon them. Xerxes' expedition against Greece was undertaken with 2,500,000 fighting men, who with the camp followers made up an army of 5,000,000. Other Persian generals had armies running up into the 100,000's of men. It is easy to be seen that the movements of such enormous bodies of men would "devour much flesh," not only in the destruction of their enemies, but thousands would die of disease and exposure and the countries through which they passed would become famine-stricken by the loss of food seized to feed such armies. The side of the "BEAR" which raised up to attack signifies Persia, in which lay the greatest military strength, and corresponded to the "right shoulder and arm" of the "Colossus." The "Three Ribs" stood for the three Kingdoms of Lydia, Babylon and Egypt, which formed a "Triple Alliance" to check the Medo-Persian power, but were all destroyed by it. THIRD BEAST. 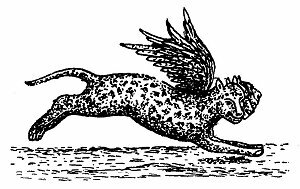 The "Third Beast" was "like a LEOPARD, which had upon the back of it four wings of a fowl; the 'BEAST' had also four heads; and dominion was given to it." Dan. 7:6. The Leopard is the most agile and graceful of creatures; but its speed is here still further assisted by "wings." Slight in its frame, but strong, swift and fierce, its characteristics render it a fitting symbol of the rapid conquests of the Greeks under Alexander the Great, who, followed by small but well-equipped and splendidly brave armies, moved with great celerity and in about 10 years overthrew the unwieldy forces of Persia, and subdued the whole civilized world. The "four wings of a Fowl" indicate, that, as a "fowl" does not fly high, the armies of Alexander were fitted mainly for lowland fighting. There is an incongruity between the number of "wings" and the number of "heads" of the Leopard. "Four heads" call for "four pair of wings." Why only "four" wings we do not know, unless they denote the four quarters of the earth into which Alexander sought to extend his Kingdom. The "Four Heads" of the LEOPARD represent the "Four Kingdoms" into which the Empire of Alexander was divided by his generals, namely Thrace, Macedonia, Syria and Egypt. The "Third Beast" corresponds to the "Abdomen" and "Hips" of the "COLOSSUS." FOURTH BEAST. The "Fourth Beast" was unlike any Beast that Daniel had ever seen or heard about. It was "dreadful and terrible, and strong exceedingly, and it had great IRON TEETH. 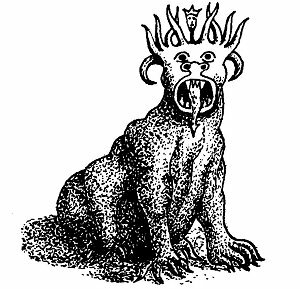 It devoured and brake in pieces, and stamped the residue (the other Beasts) with the feet of it; and it was diverse from all the 'BEASTS' that were before it, and it had 'TEN HORNS'." Dan. 7:7. The fact that the "Fourth Beast" had "Iron Teeth," and that there were "Ten Horns" on its Head, the "iron" corresponding to the "Iron Limbs," and the "Ten Horns" to the "Ten Toes" of the "COLOSSUS," would cause Daniel to see that the "Fourth Beast" stood for the Fourth World Empire, the ROMAN. But as Daniel "considered" the "Ten Horns," he was amazed to see another "Horn," a LITTLE one, come up among them, and before whom there were "three" of the "First Horns" plucked up by the roots, that is destroyed. And as he examined the "LITTLE HORN" more closely he noticed that it had Eyes like the eyes of a Man, and the Mouth of a Man speaking great things. Dan. 7:8. This mystified and troubled Daniel. He had seen nothing corresponding to it on the "Ten Toes" of the "COLOSSUS." It must mean some new and additional revelation that God had not seen fit to impart to the Gentile King Nebuchadnezzar, and that was reserved for Daniel and his people (the Jews), for we must not forget that Daniel's own visions, in the last six chapters' of the Book, have to do with God's dealings with the Jewish People in the "LATTER DAYS." Dan. 10:14. So Daniel approached one of the "Heavenly Messengers" that stood by and asked him the meaning of what he had seen. He was told that the "Four Beasts" stood for "FOUR KINGS" or "KINGDOMS" (vs. 23), that should arise out of the earth. Then Daniel wanted to know the "truth" about the "FOURTH Beast," which was so diverse from the other three, and particularly about the "LITTLE HORN" that came up among the "Ten Horns" on its head. In explanation Daniel was told that the "Ten Horns" on the "Fourth Beast" represented "TEN KINGS" that shall arise, and that the "Little Horn" was a "King" that should rise among them and subdue three of them, and that he would be a "PERSON" of remarkable intelligence and great oratorical powers, having a mouth speaking great things. That he would be audacious, arrogant, imperious, and persecuting, and change "times and laws," and that the "Saints of the Most High" (Daniel's People) would be given into his hands for a "Time, and Times, and the Dividing of Time," or 3½ years. In this Vision of the "Four Beasts" we see "Degeneration" just as we saw it in the metals of the "COLOSSUS." The descent is from the LION, the "King of Beasts," to a nondescript "MONSTER" that defies description. The reason why these "Four Kingdoms" are rep-resented first as a "Golden Headed Metallic Image," and then as a succession of "Wild Beasts," is to show the difference between Man's view and GOD'S view of the World Kingdoms. Man sees in them the concentration of wealth, majesty and power; GOD sees them as a succession of rapacious Wild Beasts devouring one another.